While our application is open, we’ve asked our current scholars and alumni to share why they’re happy they filled out the Pullman Foundation Scholarship application. It may seem like an extensive process (see our application page), but it is worth it. 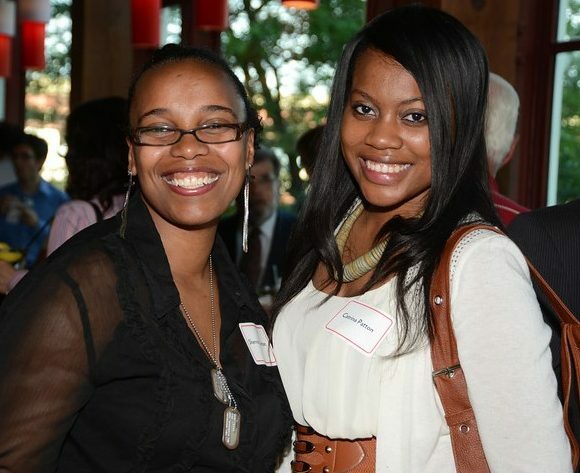 Catrina Patton, University of Michigan – Ann Arbor, ’11 (Pictured on the right), shares her reasons below. I’m so glad that I was a part of the Pullman Scholar family! As a first generation, out-of-state college student, it was this family that really helped me adjust and do well in school. Pullman staff members regularly connected me with fellow scholars at my school, checked on me, helped me establish effective study habits, and provided resources that helped me thrive in school! If you are looking for a program that’s going to prepare you to succeed in college and make you an effective leader- then the Pullman scholarship is the way to go!